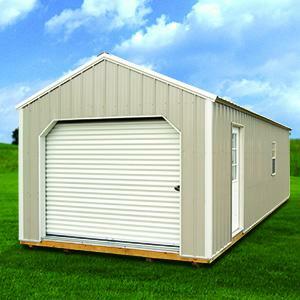 The Garage comes in a standard 12'-width with two lengths to choose from, 24' and 32'. All models feature a 9' x 6'-6″ roll up garage door, one metal door, and one 2' x 3' window. It is an ideal large storage solution.